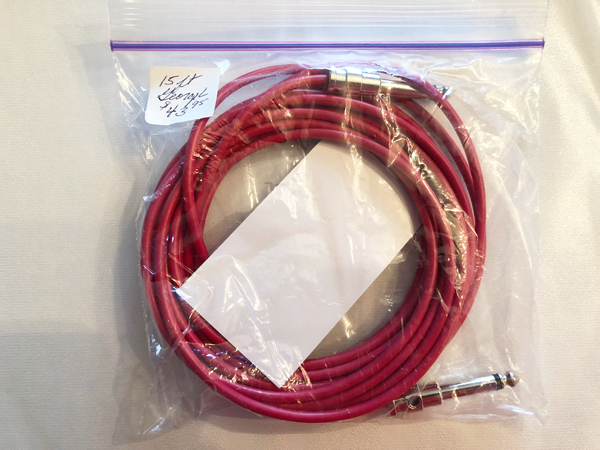 Featured here are pre-made George L's cords in a 3 ft. length and 15 ft. length, straight ends ready to use for pedal steel guitar. These are made up in black, blue, or red. 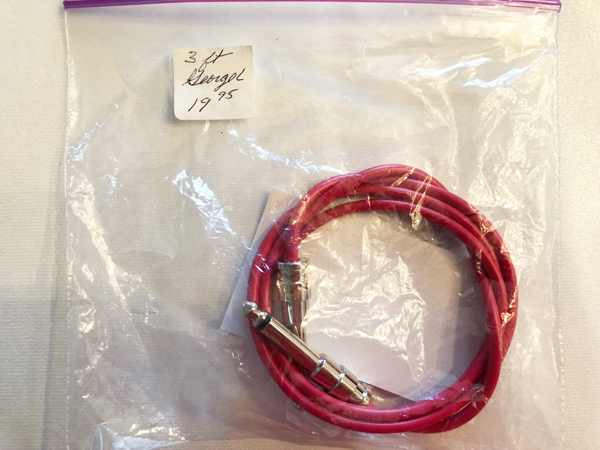 One 3 ft. cord for use from your steel to volume pedal. The other 15 ft. cord is for use from your volume pedal to amp. All brand new and pre-tested---they work. Please specify what color you want, in cord color---black, red, or blue,---price is for both cords.